Jan 20 – NEW DATE: Happy Hour & Public Lecture: Food Movements Unite! Their interview starts at 15:55. Re-scheduled for FRIDAY, January 20, 2012! 5 – 6:30PM: HAPPY HOUR – UNITED FOR FOOD JUSTICE! Raise your glass together with our esteemed guest and community partners, at a Happy Hour on January 20, co-sponsored by WA Fair Trade Coalition, Lettuce Link/Solid Ground and Community Alliance for Global Justice. We will gather from 5-6:30pm at the College Inn Pub (4006 University Way NE) for a casual meet and greet with our guest, Eric Holt-Giménez of Food First. A remarkable advocate for food justice and food sovereignty, Eric edited Food Movements Unite! He will introduce Food First’s work to build and unite a diverse movement to transform our food system. Please come to share about your work and learn from others working to bring about change in food systems around the world and in the Seattle area. 7 – 9PM: FREE PUBLIC LECTURE at University of Washington UNIVERSITY HEIGHTS CENTER, LOCATED AT 50TH AND THE AVE IN THE U-DISTRICT (LOCATION OF FARMERS MARKET). TAKE THE BUS! OR IF YOU DRIVE: South parking lot open at 50th and University, but not plowed! Please help spread the word! Facebook event HERE. How can we unite to transform the global food system? The 21 activists and practitioners contributing to this work write “from the trenches” of the food, fuel and environmental crises have much to say about our food future and the potential of this unprecedented “movement of movements.” From the writings of Raj Patel, author of Stuffed and Starved and Olivier De Schutter, UN Special Rapporteur on the Right to Food, to João Pedro Stédile of the Brazilian Landless Worker’s Movement, this insightful book is a window into the thinking and actions of the people committed to bringing us affordable, healthy food in ways that harm neither the planet nor its people. 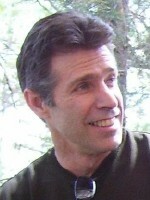 Eric Holt-Giménez is the executive director of FoodFirst/Institute for Food and Development Policy. 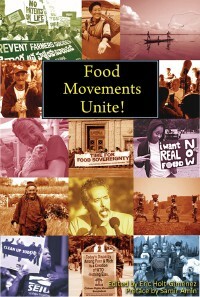 Eric is the editor of the 2011 Food First book, Food Movements Unite! Strategies to transform our food systems, and the author of the 2009 Food First Book Food Rebellions! Crisis and the Hunger for Justice. His earlier book, Campesino a Campesino: Voices from Latin America’s Farmer to Farmer Movement for Sustainable Agriculture chronicles the development of this movement in Mexico and Central America over two and a half decades. Eric worked with farmers, participated in their farmer-to-farmer trainings, and recorded their triumphs with his camera and pen. This engaging book is the product of that longitudinal participatory research. Rosalinda Guillén is no longer able to attend.